See the difference between the construction timeline for a site-built home and a modular home and learn why modular building gets the project finished faster. This diagram shows us a side-by-side comparison of a timeline for a site-built home vs. a timeline for a modular home. You’ll notice that the first two stages of construction are the same. Designing and engineering a modular home would be significantly faster if you decide to build a standard modular floor plan that your builder and manufacturer are already familiar with or have built in the past. But, in the spirit of fairness, we assume that you’re building a completely custom modular home, so designing and engineering will take the same amount of time for modular as for site-built. If you chose to build a standard plan, or even modify an existing plan, the design and engineering phase will go MUCH faster! Permits and approvals take longer than most first-time home builders will expect, but despite the common misconception, it generally isn’t any more or less difficult or time consuming to get permits for a modular home. The first major difference in our timelines comes when the actual construction begins. With site-built construction, all site prep and foundation work must be completed before the actual house can be built since the framing for the house must be built on top of a finished foundation. Using modular construction on the other hand, work on the house can take place at the same time as the foundation is being prepared. 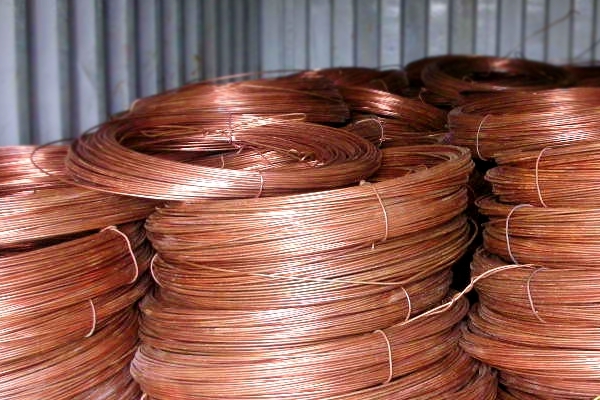 Copper wire is a popular target of construction site thieves who will rip apart the walls to get to it. Theft causes $1B and massive delays for site builders every year. Since modular homes are constructed in a controlled factory environment, they are not susceptible to delays due to weather or insufficient, sub-par, damaged, or stolen building materials. 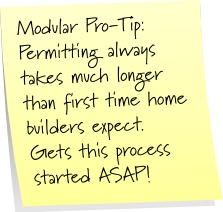 Even assuming not a single unexpected delay takes place on a site-built home, it will still take longer to construct than if it was built using modular construction. Finally the modular home gets set on the foundation and your builder connects the utilities and does all of the on-site work necessary to get you moved in! All while the site-built home builders is still twiddling their thumbs, waiting for it to stop raining.